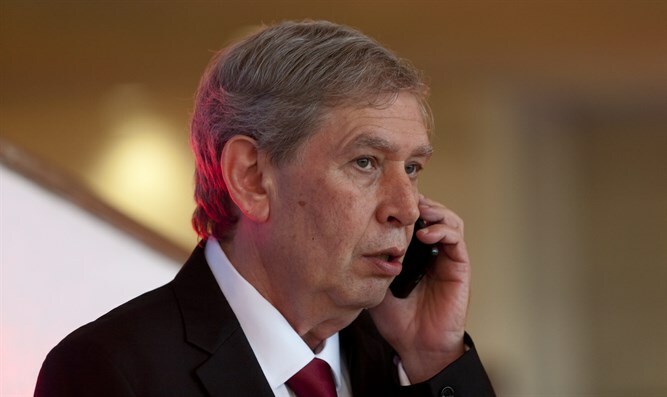 Former Mossad chief Tamir Pardo spoke in an interview about a clash between himself and Israeli Prime Minister Binyamin Netanyahu several years ago. In the interview, which will be aired Thursday night on the "Uvda" show, Pardo said that seven years ago, Netanyahu ordered Israel's defense system to prepare for an attack on Iran's nuclear facilities in a way which would allow an attack within fifteen days of the order being given. According to Pardo, "This is not something that you're allowed to do, and to use it as an exercise. Meaning, if someone did this, there would be two purposes: The first purpose would be that this is his intention, and the second would be to send a signal. Someone outside will hear about it. It could be that someone from the US heard about it in some way or other, and that made him do something. But when it comes to these things, you need to believe in people, these are your captains. So when he tells you to start a countdown, you understand that he's not playing around, these things have enormous meaning." Pardo also said that he consulted with legal experts in an effort to understand who is allowed to give such an order, and if Netanyahu had the authority to give it. "I made as many inquiries as I could," he said. "I asked the previous Mossad chief...I asked legal experts. I asked everyone I could find to ask, in order to understand who has the authority to give orders on any issue which would start a war." "At the end of the day, if I receive an order, and if I receive an order from the Prime Minister, then I am supposed to carry it out. I need to be sure that if, G-d forbid, something goes wrong, or if the action fails, there won't be a situation in which I did something illegal." He also noted that he considered resigning from his position after Netanyahu gave the order, since he believed it to be a very problematic order. "When the diplomats give an order, you have two options," Pardo said. "One option is to carry it out, and another option is to hand in the keys. It's good that I didn't have to make that decision....though I did think of it." In the end, the operation was canceled, after the Prime Minister accepted the opinion of top defense officials, who strongly opposed it.